Scout locations, props, talent, crew, equipment, wardrobe, and just about anything your project needs. 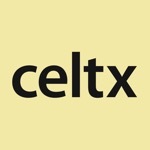 Save images and comments to your Celtx account, then share and discuss with your team. With Celtx Scout your creativity knows no bounds. This app has a 2.0 star rating (12 ratings). It occupies the 553834th position in our ranking with 40 points. It is among the 25% best ones of its category and among the 25% best ones of the overall top.